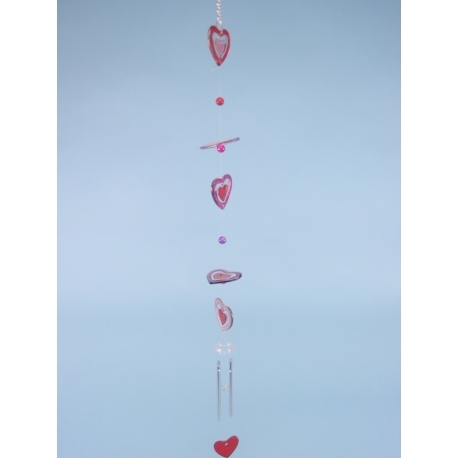 A lovely metal and glass wind chime measuring at 70 centimetres with a heart theme. 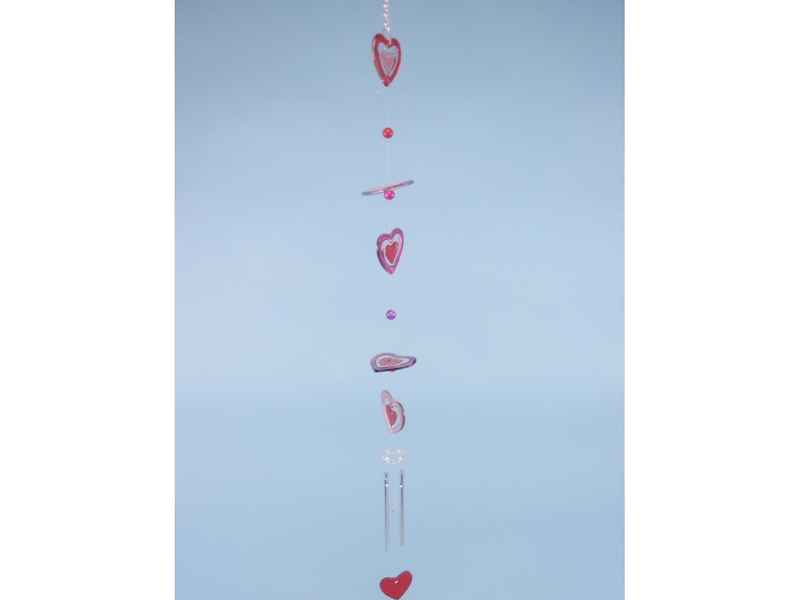 Our heart chimes will be a great addition to practically any room. Measuring at 70 centimetres in length, these chimes will also serve as a decorative piece. Wind chimes have a varied history. Thought to have originated in India, they were used in the olden days to ward off bad spirits. It was also believed that having wind chimes around the house will bring good fortune for the owner. While there is currently no scientific proof for this, it can’t hurt to try by getting these beautiful chimes from SDL Imports today.